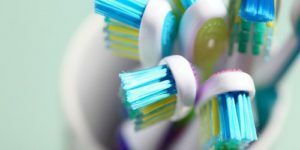 Have you been in a position where a brushing, rinsing your mouth, and even mints seem to not do much? It is important to note the difference between chronic bad breath, halitosis, from the occasional bad morning breath, for example. So for those of you who have noticed bad breath for extended amounts of time, then it is time to do something about it! Los Algodones dentists tell us that halitosis usually comes from some other dental problem. As we mentioned before, halitosis is chronic bad breath. It is the condition where the person is unable to get rid of the unpleasant smell in their mouths. This should not be confused by morning breath, or after eating certain foods such as garlic. For it to be true halitosis, the bad breath has to persist for long periods of time even after brushing, using mouthwash, etc. What are the common causes of halitosis? There are certain factors that can trigger halitosis. Though bear this in mind: it is usually a side effect of a more serious problem. Bad oral hygiene habits. This means putting away brushing, flossing and rinsing your mouth regularly. Certain foods with strong odors. The most common of these being onion, garlic, heavily spiced food, and so on. Different dental problems. Tooth decay, cavities, gum disease, they all can cause halitosis. In short anything that can keep bacteria growing in your mouth. Can be a side effect of different illnesses and/or medication. It can be from diabetes, sinus infection or even a cold. Though it can go as bad as liver or kidney disease and bad gastric reflux, so it is best to be safe. Dry mouth, also known as xerostomia. Saliva helps a lot in washing away food and bacteria from your mouth. It also helps remineralizing your teeth. Smoking and tobacco use. This not only impregnates your teeth and mouth with the smoke, but also helps towards getting gum disease. We suggest starting by paying your dentist a visit! Here in Los Algodones we not only have excellent prices, but also a very capable staff. How do you deal with the bad breath? First things first, make sure to follow a good oral routine! We suggest not missing brushing your teeth at least twice a day with a fluoride toothpaste. Floss once a day to get rid of the plaque that hide in-between the teeth. Make sure to drink good amounts of water as well as rinsing with mouthwash every now and then. If you still have bad breath after days of keeping your mouth clean and taken care of, then it might be something bigger. Visiting a dentist is a must as they will be able to unravel what the cause is. Or if the problem is internal, then a physician will do the trick! Keeping a good breath is not only important for the overall health, but also to feel good about oneself. Many times do people feel very self-conscious or bad about themselves for what might make them stand out in a bad way. So if the problem can be fixed by visiting a dentist, then that is awesome! Electric Toothbrush: What About Them? No Replies to "Halitosis, Also Known As Bad Breath"